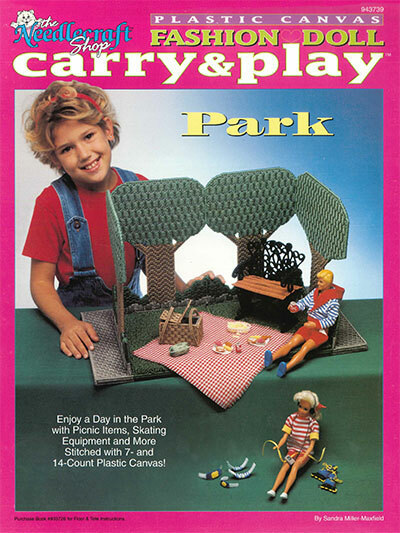 Enjoy a day in the park with your fashion doll! The Park includes a bench; a basket, skates and pads; a portable radio; and a chip bowl with plates and food. All are stitched on clear and stoneware blue 7-count and clear, pink and yellow 14-count plastic canvas. 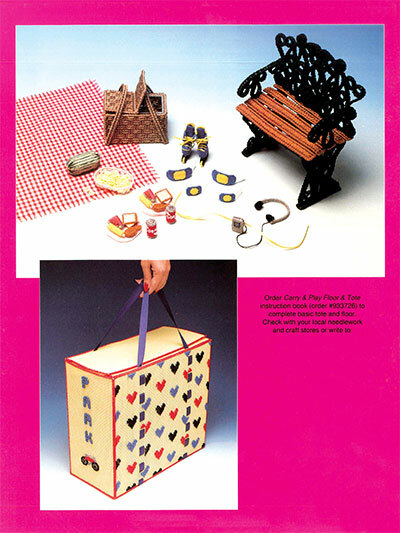 See Carry & Play Floor & Tote book (A933726) for the basic tote and floor instructions.